In a contest, touted as the fight of the century, involving two of the best proponents of boxing in recent history, Floyd Mayweather Jnr. proved his mettle in smartly throwing off the challenge of Manny Pacquiao inside the MGM Grand Garden Arena, Las Vegas, U.S.A. 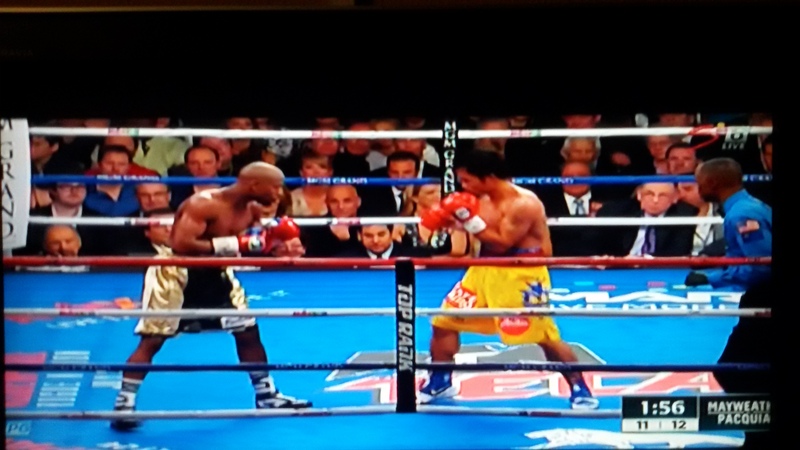 In a contest that lasted the full 12 rounds, Mayweather’s experience was evident in the way he dominated the fight early and smothered the aggression of Pacquiao, using his defensive skills and his longer reach and jabs, to control the fight. Mayweather remained undefeated, winning by an unanimous decision of the three judges; 118-110, 116-112, 116-112. Employing his evasive skills to its maximum, he danced round the ring for most of the rounds and picked up the points while Pacquiao struggled to land as many punches. 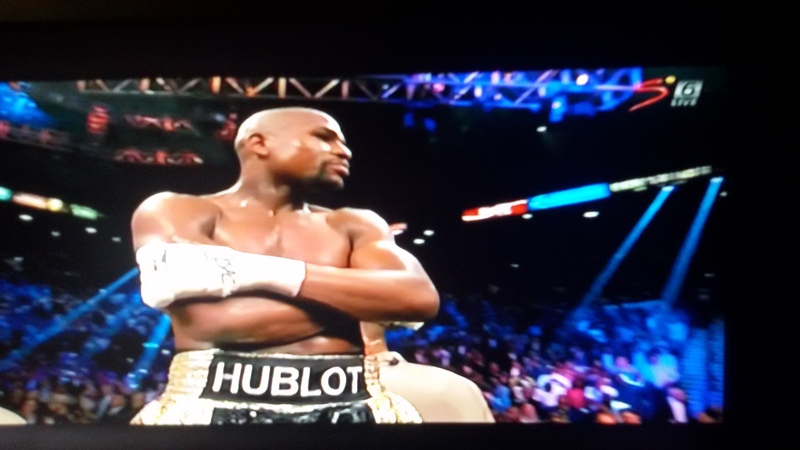 Those who expected a knockout would be disappointed, yet the absence of that did not detract from the quality of the fight, which Mayweather won by sheer brilliance, focus and big-game mentality. Pacquiao displayed boldness and spirit but never really got the chance to do real damage to Floyd who shielded himself excellently and took out the bite from the Philipine force of nature. 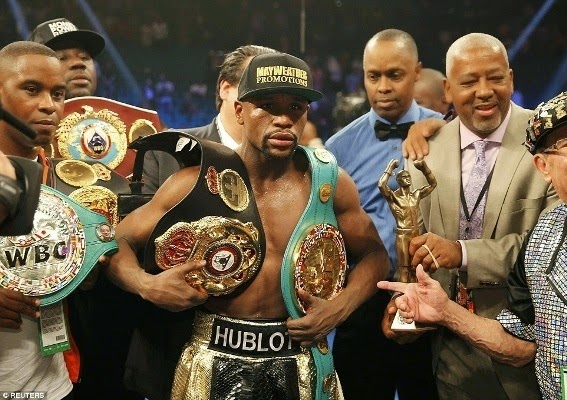 Undefeated in 48 fights, at age 38, even those who do not agree that Mayweather has earned the title of “The Best Ever (TBE)” must admit that the colourful American has carved for himself, a special place in boxing history.